Bus 003 Device 001: ID 1d6b:0001 Linux Foundation 1.1 root hubBus 002 Device 003: ID 12d1:1446 ONDA Communication S.p.A. 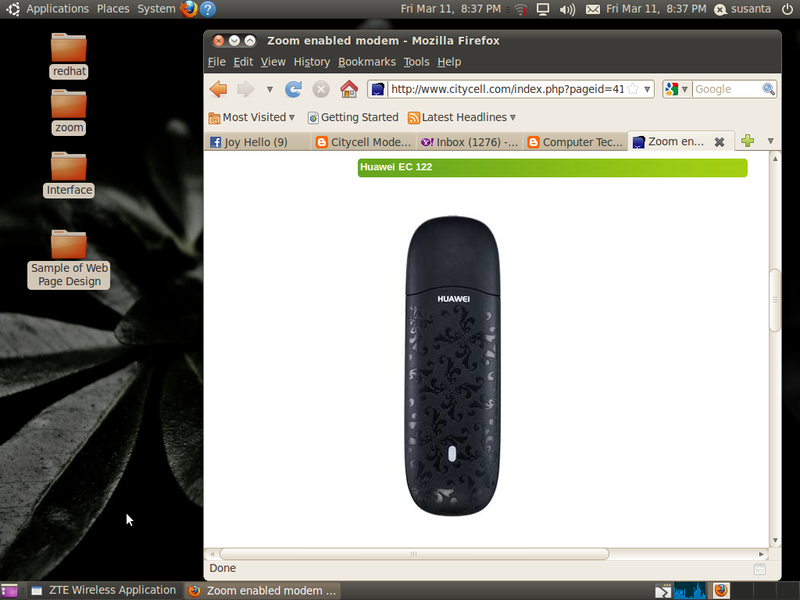 Here we get vendor id (12d1) and product id (1446) of Huawei EC122 modem. However product id as 1446 means that the modem acts as a storage device rather than as a modem. Step 2] Now, we will edit the configuration file of usb-modeswitch to work Huawei EC122 device as a modem rather than as a storage device. Step 4] Now execute lsusb command again to confirm whether product id changed from 1446 to 1001. Bus 003 Device 001: ID 1d6b:0001 Linux Foundation 1.1 root hubBus 002 Device 004: ID 12d1:1001 ONDA Communication S.p.A. Note: if product id not changed then unplug the Huawei EC122 device and re-plug it and execute the command again. Step 6] Execute wvdialconf command to modify the file, /etc/wvdial.conf on the basis of Huawei EC122 modem identified by kernel. Thanks. Those commands work for me. I'm using the same USB stick on backtrack 5 to connect to a Moroccan provider 'INWI'.